Travelling has a lot of different meanings for different people. 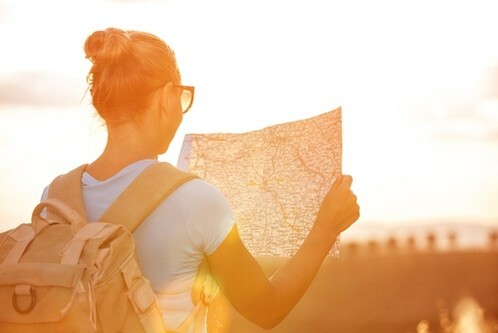 Some of us use travel as a means to reconnect, either with our loved ones or ourselves as our busy lifestyles can make having quality time together difficult. Some people however use the opportunity to travel as a creative outlet, to experience new things or just simply mark things off their bucket list. For those lucky enough to travel we can all agree that there is something really special and personal about our experiences, and often this is the trigger for our travel addiction! Although some individuals might say they use their travels as an ‘escape’ just remember it is so much more that that… we can cater to your needs to make the most of exactly what you want to use this spare time for. Whether that be at a Balinese yoga retreat to find yourself again or a family friendly resort to spend some time with the kids. Regardless of what it is that inspires you to travel make sure you spend your time wisely! We never seem to have enough of it with our busy schedules. Let Josh help you piece together you travels by calling 1300 761 901, you may be surprised with what you can work together on! For more blog posts from Dani keep your eyes here every Wednesday or visit her blog Traveller Envy.